Wel­come to our second quar­terly bm|t news­let­ter. If you are recei­ving this news­let­ter via email, you suc­cess­fully par­ti­ci­pa­ted in the GDPR com­pli­ance spec­ta­cle – thank you for your under­stan­ding. If you have part­ners or col­leagues who are inte­rested in a regu­lar bm|t update, don’t hesi­tate to share this link. While recently in Ber­lin mee­ting with inves­tors we were enga­ged in an inte­res­ting dis­cus­sion about Initial Coin Offe­rings (ICOs). Our con­ver­sa­tio­nal coun­ter­party, an early-stage pri­vate inves­tor, was advo­ca­ting how great it would be if all invest­ments had tra­de­able, block­chain-based tokens, and the­re­fore the annoy­ing pro­blem with illi­qui­dity could be sol­ved. We under­stand the sen­ti­ment behind this thin­king, but believe it focu­ses too nar­rowly on avoi­ding the nega­tive effects of a lack of trust and not ade­qua­tely on the posi­tive effects of the pre­sence of trust. An important con­cept behind block­chain / decen­tra­li­zed led­gers is that one can eli­mi­nate the need for direct coun­ter­party trust in envi­ron­ments where trust can be dif­fi­cult to estab­lish. For example, estab­li­shing trust bet­ween par­ties that may have never inter­ac­ted with each other prior to con­sum­ma­ting a tran­sac­tion and when there is a low likeli­hood of repeat tran­sac­tions bet­ween the par­ties. There are situa­ti­ons where the abi­lity to remove the need for trust from the equa­tion can be extre­mely bene­fi­cial. Howe­ver, in our métier of ven­ture capi­tal and pri­vate equity, we believe that trust and com­mit­ment are actually cri­ti­cal suc­cess fac­tors that can­not be out­sour­ced to a faceless, decen­tra­li­zed net­work. At bm-t we have recently recom­mit­ted our­sel­ves to working dili­gently to be the part­ner-of-choice for our inves­tee-part­ners. This part­nership mind­set ori­gi­na­tes from a deep belief that when entre­pre­neurs and inves­tors work coope­ra­tively and openly with a com­mon goal that out­stan­ding results can stem from this deep trust and mutual under­stan­ding. We at bm|t do not invest in business plans; we invest in entrepreneurs. In essence, we aim to find busi­nes­speople who we trust will find a way to create value even when plan A, B, or C does not mate­ria­lize as ori­gi­nally envi­sio­ned. We stron­gly believe that entre­pre­neurs should also cul­ti­vate and value this trust, which is accom­pa­nied by many posi­tive attri­bu­tes for people and com­pa­nies with big ambi­ti­ons – such as pati­ence, coope­ra­tion, com­mit­ment, and a co-war­rior men­ta­lity. Indeed, in our view, entre­pre­neurs should be very wary of the siren songs of ICOs, instant liqui­dity, and not having to deal direc­tly with pesky inves­tors, as those inves­tors are exac­tly the ones who are most likely to sup­port com­pa­nies when chan­ges to the busi­ness plan become necessary or in moments when a cate­gory falls out of favor with the crowd. We at bm|t are working con­cer­tedly to create an envi­ron­ment of mutual trust by com­mu­ni­ca­ting pro-actively and trans­par­ently with our Inves­tee-Part­ners; and we highly value that same com­mu­ni­ca­tion in return. We view trust as a valu­able long-term asset that can pro­duce great divi­dends, not some­thing to be out­sour­ced. Inves­tor Days Thü­rin­gen was a suc­cess­ful event again this year, with record inves­tor atten­dance and over 80 com­pa­nies pre­sen­ting their sto­ries. Only time will tell which com­pa­nies from this year’s class of pre­sen­ters will be dis­cus­sing a sale to a social media giant or a Nasdaq IPO as a key­note speaker at future events. We, and the guests from whom we recei­ved feed­back, were very impres­sed by the poise of the pre­sen­ters and the high level of cor­po­rate sub­s­tance on dis­play. 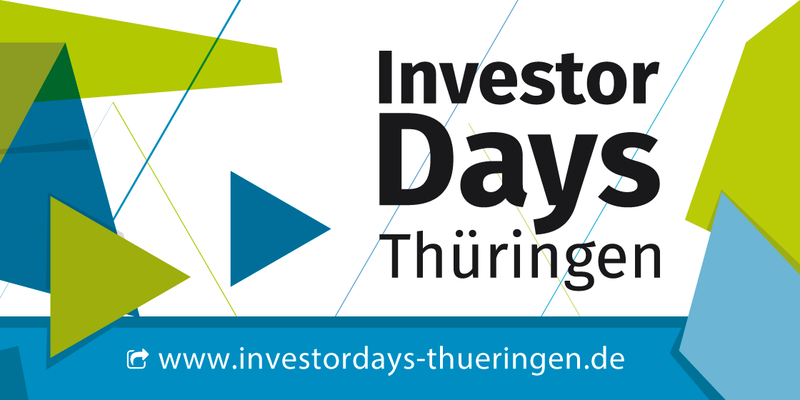 We, in Thü­rin­gen, are still fly­ing a bit ste­alt­hily, but we are appearing on the radar of more inves­tors and look for­ward to wel­co­m­ing even more first-time guests next year at Inves­tor Days Thü­rin­gen. We will be set­ting the date for the event soon, so please watch your inbo­xes and our › Lin­kedIn Page and › Xing pages for details. APP­so­lute Mobility’s two mana­ging foun­ders, Vic­to­ria von Wach­tel and Alex­an­dra Kul­fa­nová, rea­li­zed early on that app crea­tion could be made so easy and con­fi­gura­ble that more com­pa­nies would start to design and publish their own apps for inter­nal and exter­nal busi­ness pro­cess opti­mi­za­tion. To enable this self-ser­vice, APP­so­lute Mobi­lity has con­struc­ted a highly-intui­tive and fle­xi­ble app-deve­lop­ment envi­ron­ment. The soft­ware plat­form is out­stan­ding, and we were very impres­sed with the foun­ders, as they had already gene­ra­ted sub­stan­tial reve­nues and pos­sess a great road­map for sca­ling the pure license por­tion of their busi­ness model. There are some big com­pa­nies com­pe­ting in the space, but with the right com­bi­na­tion of per­so­na­li­zed solu­ti­ons and scala­ble soft­ware, we know › APP­so­lute Mobi­lity has a lot of headroom for pro­fi­ta­ble growth. We are loo­king for­ward to working with APP­so­lute Mobi­lity to enable com­pa­nies to use self-ser­vice App deve­lop­ment to improve cor­po­rate per­for­mance. 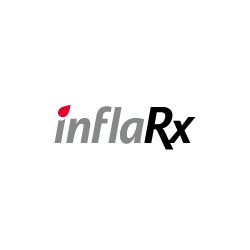 InflaRx (Nasdaq: IFRX) and cur­rent share­hol­ders pla­ced $ 117,3 Mio. of sha­res, with $ 63 Mio. as pri­mary sha­res with the pro­ceeds going to InflaRx and $ 54 Mio. as secon­dary sha­res with the pro­ceeds going to early share­hol­ders, who all remain invested in InflaRx. InflaRx intends to use of pro­ceeds from the capi­tal raise to finance the fur­ther cli­ni­cal deve­lop­ment of its lead can­di­date IFX-1, which is cur­r­ently in Phase IIb. The the­rapy is being tria­led on pati­ents with mode­rate to advan­ced Hid­ra­de­ni­tis Sup­pura­tiva (HS), which is a pain­ful and chro­nic inflammatory skin disease with limi­ted tre­at­ment opti­ons. Fur­ther­more, the com­po­und is going to be tested in two phase II tri­als for addi­tio­nal auto-immune and inflamma­tion indi­ca­ti­ons. ife­sca ope­ned its Series A financ­ing round about six mon­ths ago and quickly secu­red 1 mil­lion EUR in the first clos­ing. In the sec­ond clos­ing, a fur­ther 1.5 mil­lion EUR was rai­sed. The total of 2.5 mil­lion EUR will enable the com­pany to fur­ther grow and inter­na­tion­al­ize its ifesca.AIVA plat­form. bm-t was the lead inves­tor in the Series A finan­cing and was accom­pa­nied by mul­ti­ple pri­vate inves­tors. The intel­li­gent cloud ser­vice of ifesca.AVIA, enab­les energy com­pa­nies to bet­ter fore­cast future demand for elec­tric­ity, gas, or heat in near real time. These insights allow energy com­pa­nies to make bet­ter decisi­ons regar­ding their own genera­tion ope­ra­ti­ons and/or energy tra­ding. The Stif­tung für Tech­no­lo­gie, Inno­va­tion und For­schung Thü­rin­gen (STIFT) and the Spar­kasse Jena-Saale-Hol­z­­land invest in an inno­va­tive the­ra­peu­tics com­pany in Jena. 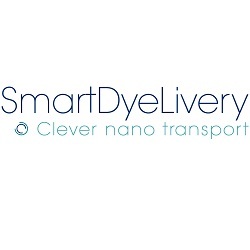 Smart­Dye­Li­very, in Jena, uses nano­par­ti­cles to direct the­ra­peu­tic com­pounds direc­tly to tar­ge­ted organs. With a paten­ted tech­no­logy based on func­tio­nal nano­par­ti­cles, Smart­Dye­Li­very con­vin­ced the STIFT to join the Spar­kasse Jena-Saale-Holz­land, which increa­sed its invest­ment, and bm|t as key insti­tu­tio­nal share­hol­ders, in the aspi­ring bio­tech­no­logy com­pany.